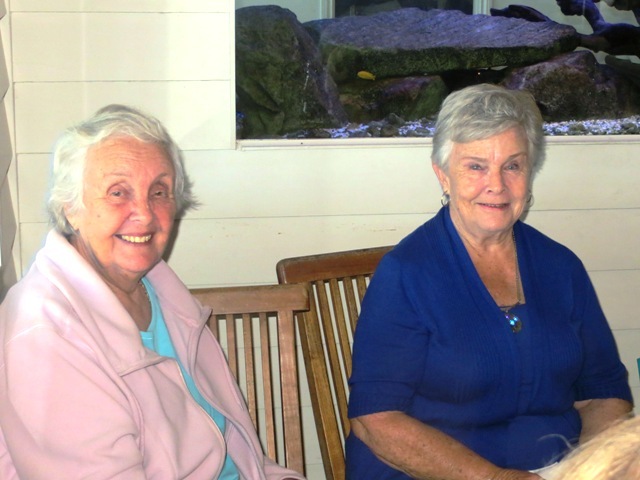 Kenya friends reunited – or at least united! 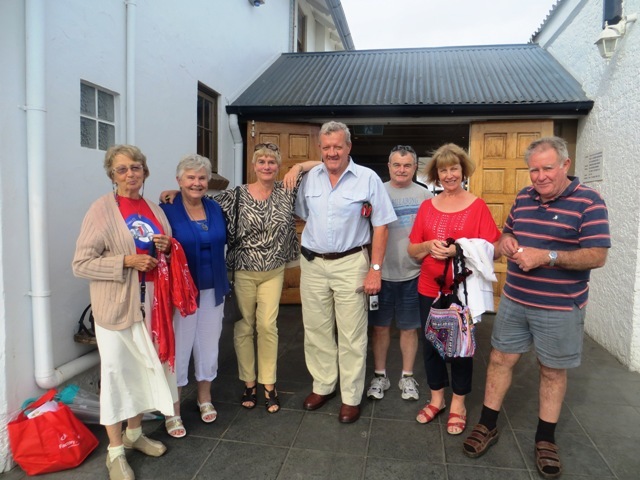 From left, Karin, Marcia, Jill, Robin,John,Barbara and Graham. 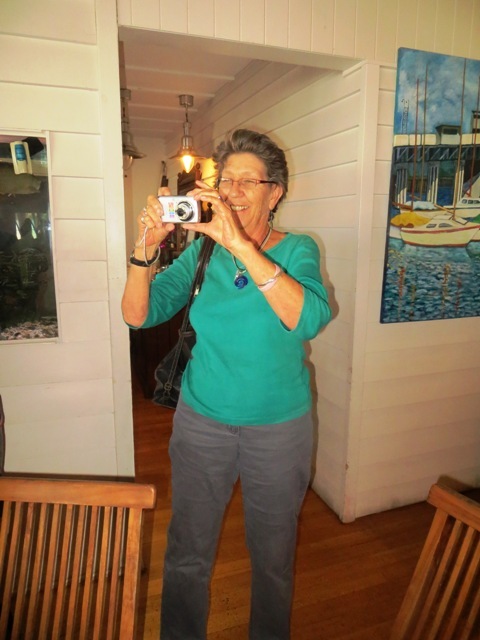 Jinx had already gone home and Ruth is taking the picture. Why is it, I asked myself this morning, that I am driving for over an hour to have lunch with a bunch of people, most of whom I’ve never met before? 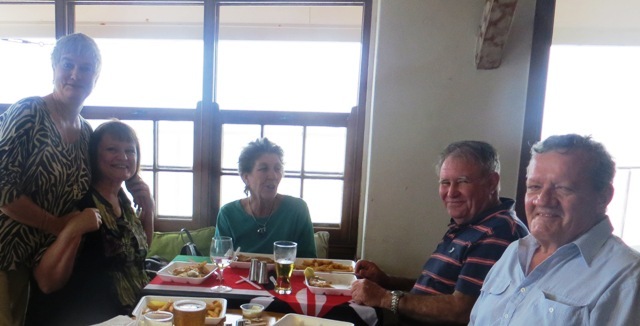 And that gave rise to another question – what is it about Kenya that seems to bind those who grew up there, or ever lived there, in such a way that after all these years we still enjoy getting together with those who share our memories? It’s because Kenya was – and in many was still is – a special place. And that makes us all a bit special too. 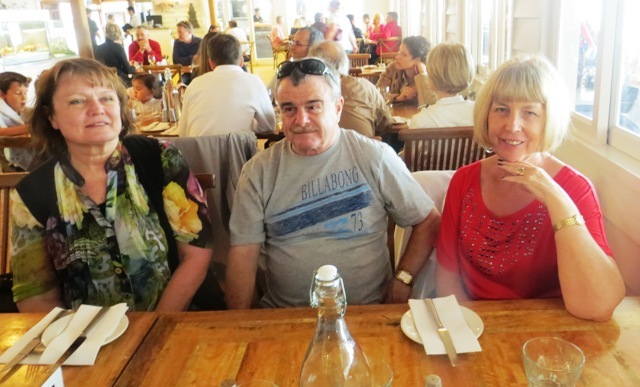 The luncheon today was for members of the Kenya Friends Reunited Facebook sub-group, or at least those few members who live in south-east Queensland. Most of us had not met before, yet we immediately felt like old friends. Such is the power of Kenya – and of those childhood memories we all hold in common. It’s also a tribute to the power of Facebook and let me say this, knowing that there are those out there who don’t seem to approve of this wonderful social network facility – Facebook has added a whole new wonderful communications dimension to my life and I am proud to be a subscriber. I have an often insanely busy life, many friends, plenty of hobbies and interests. And Facebook makes all that easier for me because I can so readily and pleasantly keep in touch with friends and relatives around the world and “see” what they still look like and what they are doing. As far as KFR is concerned it has reunited me with many old friends and brought back many memories – wonderful! Anyway, back to our first KFR lunch in this part of the world. 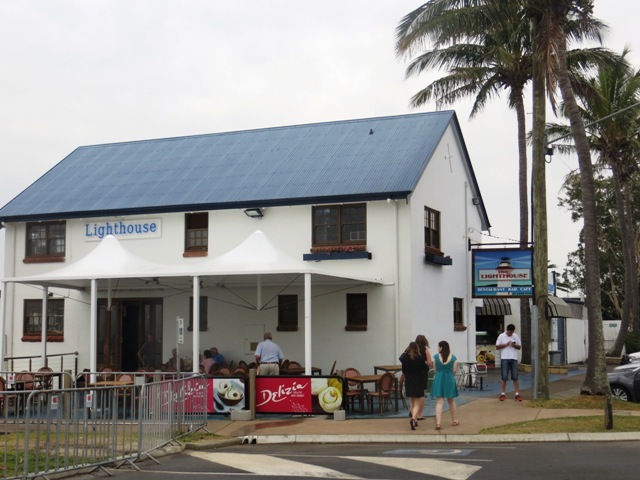 The venue chosen was The Lighthouse Restaurant at Cleveland, a bayside suburb of Brisbane. It’s situated at the end of a narrow point of land pointing straight into Moreton Bay – Brisbane’s Bay of Islands. On a fine and sunny southern hemisphere sub-tropical spring day this should have been a splendid setting but, alas, the weather was not kind. It blew a gale, sent down a shower or two and forced all the diners at this large restaurant/pub/cafe complex to eat indoors. This was a particular shame for Robin Swift who had suggested the event – and the venue. 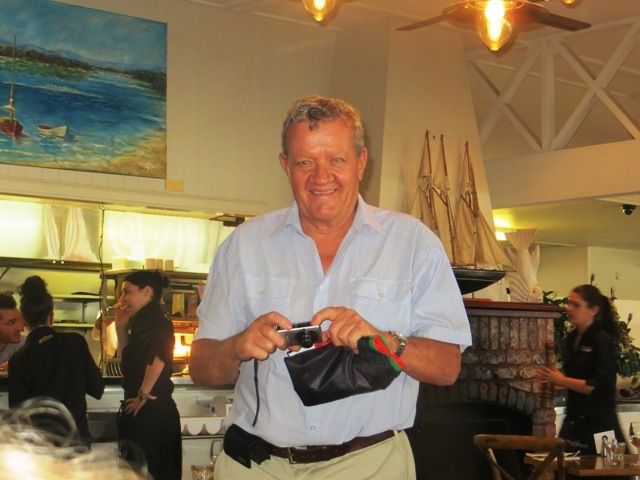 There he was when I arrived, having set up a large table at the side of the restaurant, complete with Kenya flag, and it was all being blown away. Thanks to Facebook, Robin and I recognised each other immediately. And fellow KFR members will be glad to know he is just as lovely as we all thought he must be! As is his wife Jinx though, poor girl, she had to put up with all we Kenyans reminiscing like crazy. Jinx, I should explain, comes from That Other Place stuck between SA and Zambia that’s ALMOST as nice as Kenya except it doesn’t have beaches and decent-sized mountains. It does, however, have that well-known humanitarian Robert Mugabe – which is probably why Robin and Jinx and their family don’t live there any more. Sitting with Robin and Jinx was Graham (can’t remember his second name), another ex-Kenyan who had been at the Duko with Robin. As is always the case, we immediately found we knew people in common and were busily investigating this when Ruth Davies arrived. 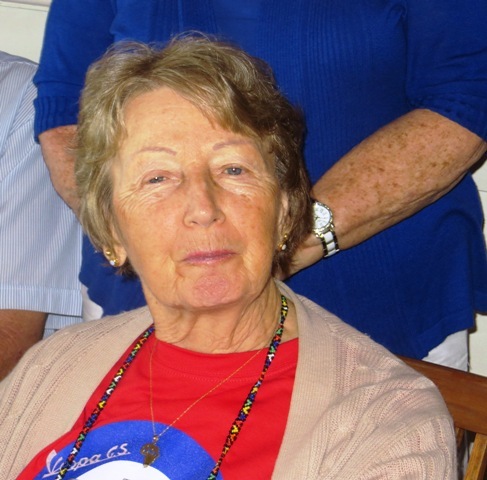 Ruth is a KFR member who never contributes (too busy) and she and I were at both primary and high school together and our mothers were friends. So we get together pretty often…but never often enough. So there the five of us sat, waiting for the others to arrive. Waited…and waited…! 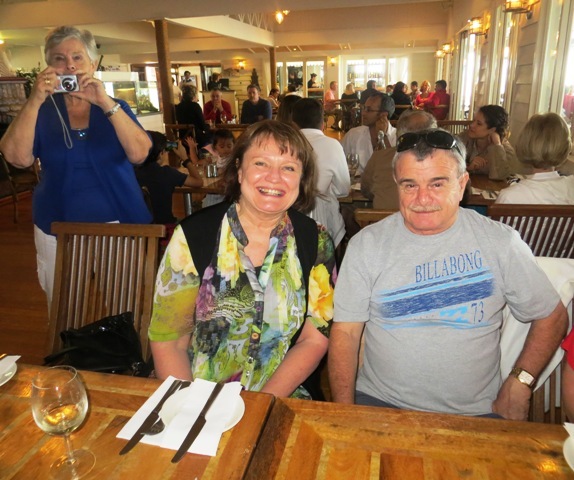 The weather drove us indoors and we went to the bar section – very cosy on a wet day – and ate fish and chips. 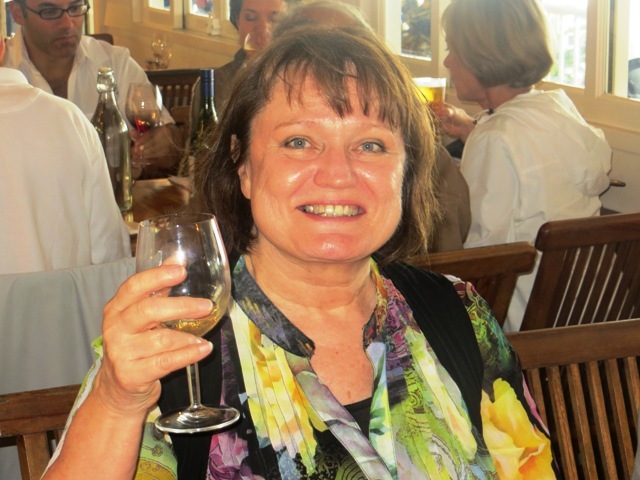 After a couple of hours of reminiscent chat along came Karin Blowers who told us that she and the rest of the expected guests had been sitting in the restaurant section, wondering what had happened to US! Just a bit of a mix-up made worse by the weather that forced us to abandon our outside table. 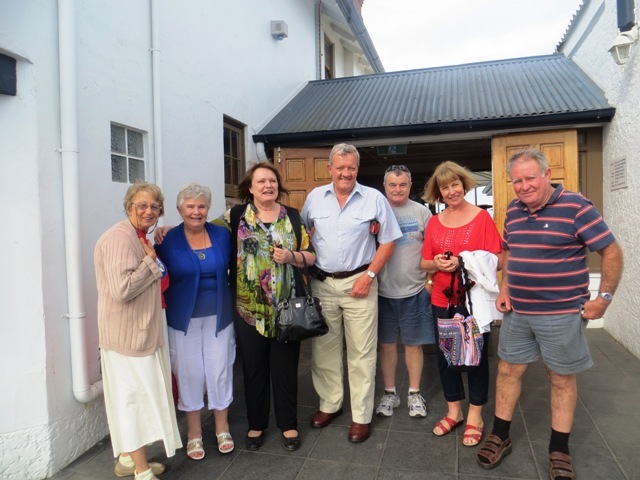 So we picked up our glasses and joined the others – and met Marcia and Anne, Barbara and John. More reminiscent chat. More old ties established. I knew Anne’s parents (as did my husband and father). 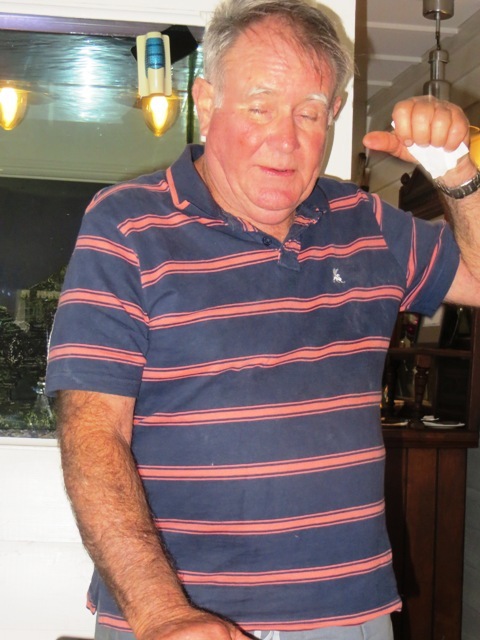 Marcia’s son lives a street away from my home at North Tamborine. And John and Barbara live down the bottom of the mountain. Though none of us knew any of this before. Even more surprising, I only found out just before I left home this morning that the Swifts are the parents-in-law of the son of one of our close friends on Tamborine Mountain! We forgot the horrible weather in sharing our memories as well as our Australian experiences. The time went all too fast and given the distances some of us had to travel (only Robin and Jinx live near Brisbane, the rest of us came from either the north or south coasts which means at least an hour’s driving) we decided to call it a day at about three o’clock. And wouldn’t you know…the clouds rolled back, the drizzle went away, the rain died and the sun shone brightly, just as it’s done for weeks now. 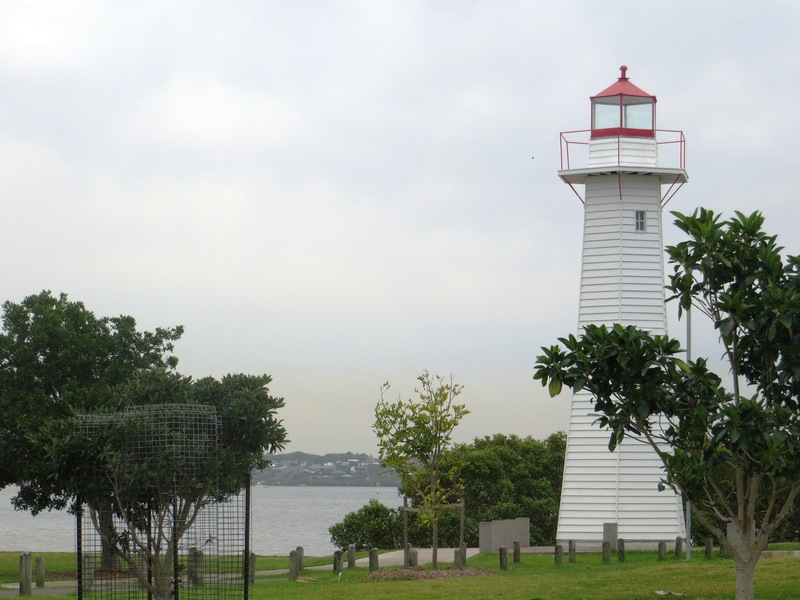 The actual lighthouse after which the restaurant is named – looking across Raby Bay. Jill, Ruth, Jinx, Graham and Robin in the bar, wondering why the others haven’t turned up. After she’s come in search of us – and found us – Karin returns to finish this very large fish. Looks like she’s enjoying it! 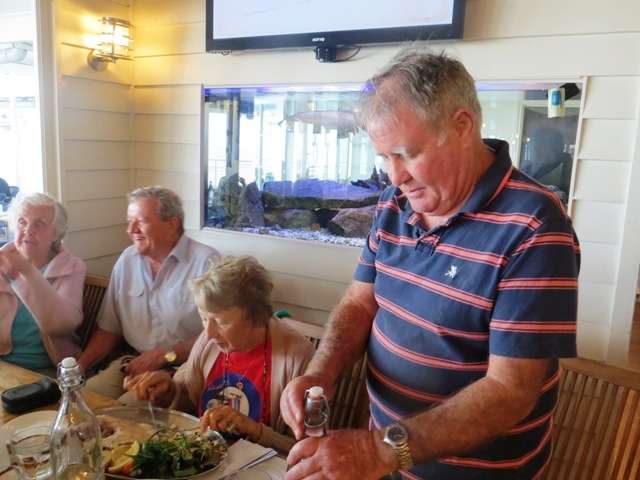 Anne and Robin confer, Karin concentrates on her lunch and Graham hits the bottle – but its only water! Jinx takes a pic of the rest of us taking pics! 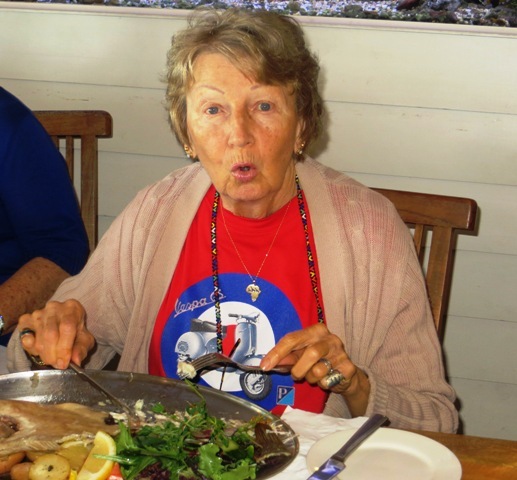 Karin is probably thinking about the trip she’s going to take to Tanzania soon – or else just digesting that enormous fish! Graham shows us how he used to land his plane when he was a pilot in Kenya!…seriously though, he’s going to kill me for publishing this pic. Good job he lives two hours away! 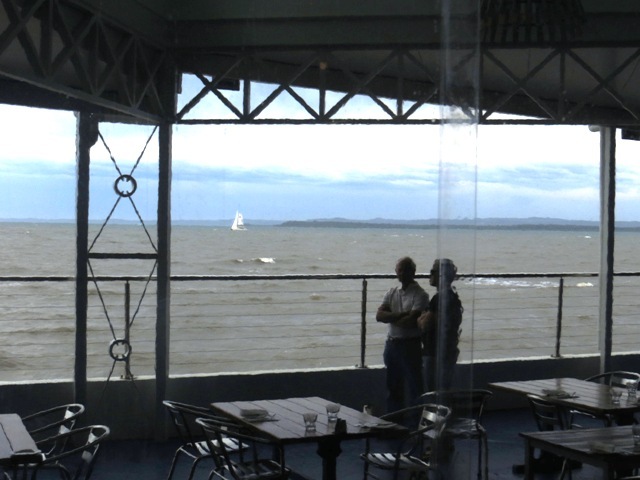 View from the restaurant – no sitting out on the verandah today, alas. Though the weather was soon to clear. And here we all are at the end of a very enjoyable afternoon – all except Jinx, that is. And me, who was taking the pic.